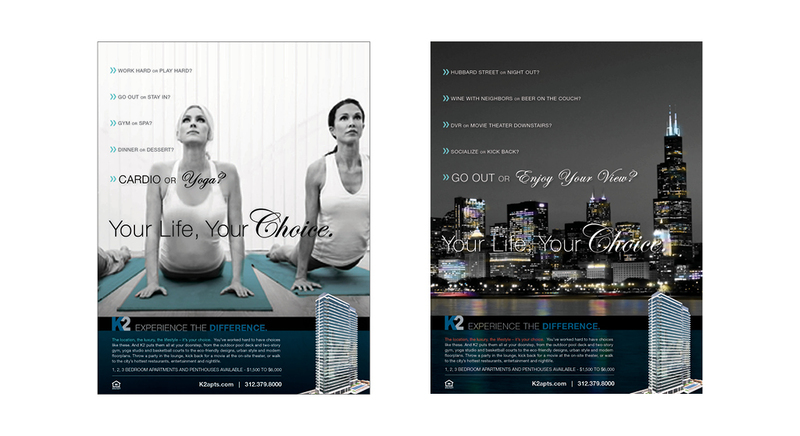 K2 is a 33-story high-rise apartment building in Chicago, IL that has 496 residences and seven penthouse residences. Developer Fifield anticipated challenges targeting a female audience, appealing to a slightly older demographic, maintaining momentum after lease-up, differentiating the building from similar high-rises, and justifying slightly higher than normal renting rates. 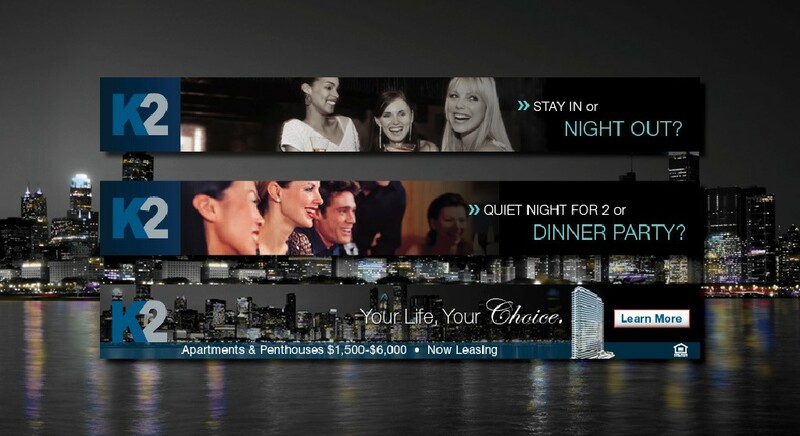 Our campaign targeted sophisticated city dwellers and focused on the up-and-coming neighborhood (both convenient and full of life) as well as the building’s top-of-the-line amenities — the best of any rental in the submarket. We positioned K2 as a smart, sophisticated, modern and highly personalized experience providing a convenient lifestyle worthy of its pricetag. This entailed creating a consistent, streamlined brand experience (everything from the marketing collateral to amenity naming conventions and interior design strategy), intuitive website, and creative concept to pull it all together. We then promoted the brand through social media integration and branded partnerships, promotions and events, including a year-long editorial calendar of media outreach opportunities, media targets, and strategically optimized content. 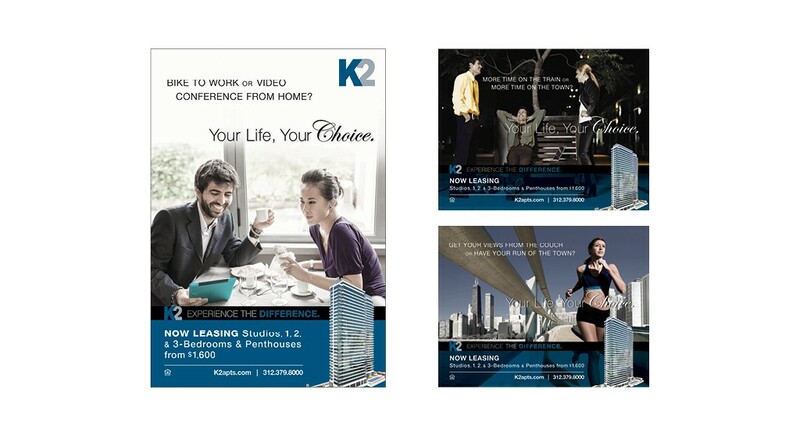 As a result of our efforts, K2 leased 65% of its units within the first 10 months.